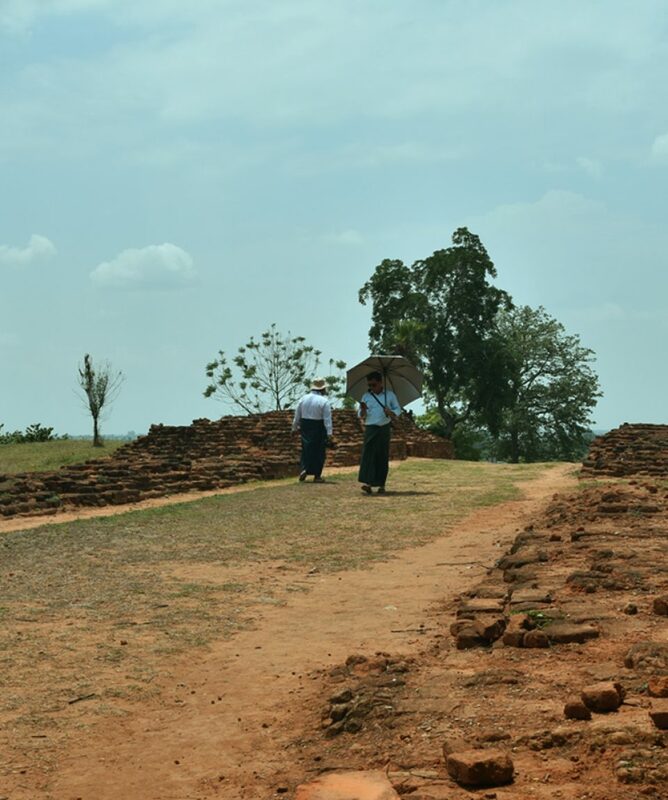 All about the Visit Halin Archaeological site and Shwe Bo. You can explore Hanlin Archeological site of Upper Myanmar near Shwe Bo. 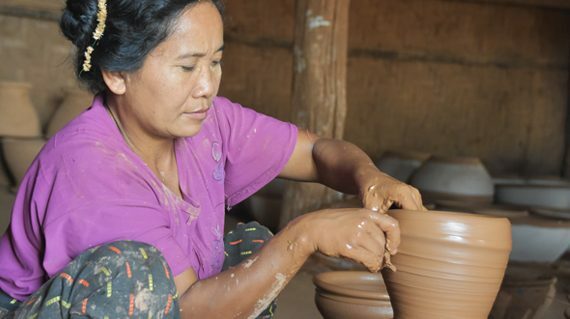 This enjoyable trip will take you to visit KyaukMyaung famous for its distinctive glazed potteryand Hanlin (An important Pyu ancient cities). You will also visit the origin of the Kongbaung Dynasty located 110 km northwest of Mandalay between the Irrawaddy and the Mu rivers. In the morning, our guide will pick you up at your hotel in Mandalay and drive to KyaukMyaung. Then continue drive to Shwe Bo, the first royal capital of YadanarBonDynasty. 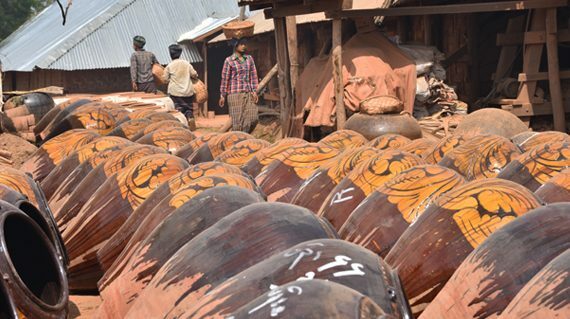 KyaukMyaung, a small village is famous for the manufacture of distinctive glazed pottery and situated on the bank of Ayeyarwaddy River. Explore along the river side KyaukMyaung’s beautiful natures and visiting traditional factories which are housed in bamboo, thatched barns and traditional kilns, drying yards. Shwe Bo, ancient royal city and around such as reconstructed palace near the local market, the old town moat. Visiting some rural the pagoda festival of this area is also possible if the arrival time of your travel is allowed. The famous pagoda festival of Shwe Bo, MyodauntSediPhayaPwe used to held around September in Western Calendar annually. Overnight at hotel in SwhweBo. After check out at your hotel, drive to Hanlin 12 miles southeast from Shwe Bo. Visit Hanlin, archeological site and in the evening drive back to Mandalay. Our guide will explain about this place. 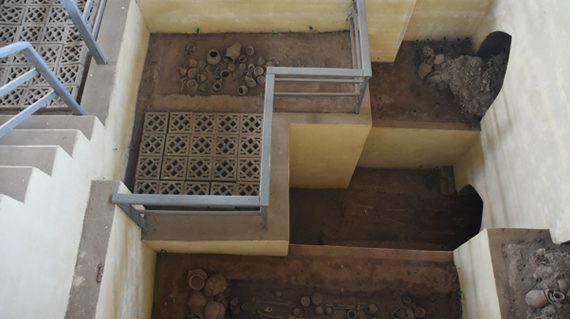 Visiting Hanlin, excavation sites area here date back to the Pyu era (4th to 9th centuries AD) and means the site was set in a large city over the 1600 years ago. The earliest artifacts of Hanlin City’s wooden gates are radiocarbon dated to 70 CE. You can also visit a small private museum of NyaungKoe Bin monastery. 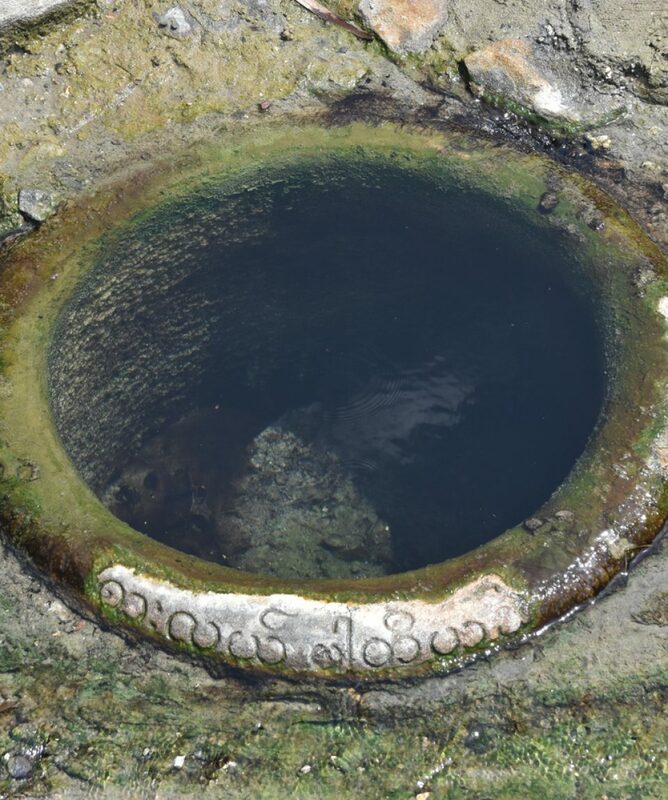 Hanlin is a little hot spring area where villager collects the water and the village where the deep inside rural life with its right. The tour will end at Mandalay this late evening and if you interest for the next trip make an inquiry to MUL office, and sure we will help you. If you not satisfy with 3 stars hotels, you may also request for luxury or budget hotels and we are happy to offer the update price for this tour. Please let us know in advance. We suggest you to carry something to protect from the sun and the dusts. Shorts or sleeveless tops and shoes are not allowed to enter place of Pagodas and Religious area. We offer this tour only in Winter and Summer season as we can not travel to Halin archaeological site in raining season. The best season to do this tour is Winter season (Oct – Feb).